My summer blogging efforts continue with the K.I.S.S. method (Keepin’ It Short & Sweet!) This week I want to share a few tried and true EASY dishes and one that looks so good although I haven’ t tried yet! Years ago when I was a busy, working mom there were times after a busy day at the office I would aimlessly walk through Publix Markets thinking of something new to fix for supper! I had three hungry kids at home and coming up with a dish that all of them would like could be trying at times! 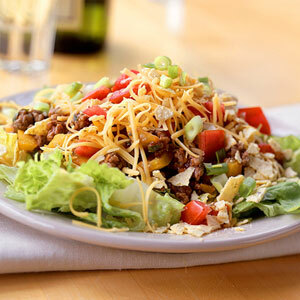 This particular day I ran into a neighbor, Lori, and we chatted a while and then I said to her, “Ugh I need to get something different to fix for supper!” In response she gave me the best, easiest taco salad recipe, which was a huge hit and I am still making it today! Optional: avocado, black beans, cukes, or any other salad ingredients. Dressing: Mix half Catalina or French with half Italian. Blend together in bowl or jar. Start with the lettuce, in a big, deep bowl, layer, in order, the remaining ingredients – pour the dressing over the completed salad. Delicious and this salad is actually better if it sets for a little while and gets “wilty”. I always serve it immediately and then at cleanup time find myself eating every last crumb!!! YUM-O! A version of this dish is served on the Salad Bar at Jason’s Deli – the first time I had it I knew I had to make it at home! 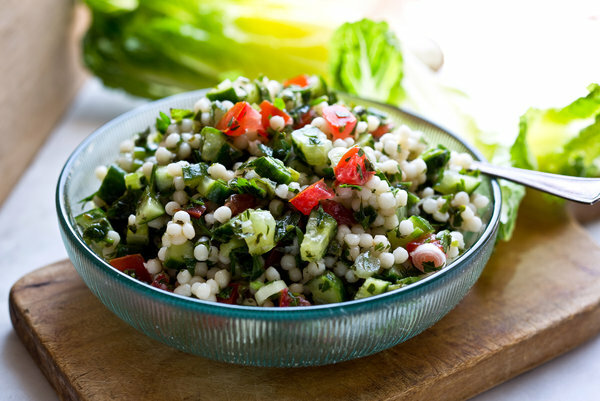 Cook your desired amount of Pearl Couscous according to directions on package. I buy bulk so I bring 2 3/4 cups of salted water to a boil, add 1 1/2 cups of dry couscous, bring to boil again and then I shut the heat off, put a lid on it and go about doing other things! (Usually make it a lunchtime to use at supper.) Doing it this way does make it clumpy so I sprinkle some olive oil over it and with a wooden spoon break it up and separate the pearls! To the cooled pearls I add about 1/2 cup of olive-mix tapenade, and about 1/4 cup of basil pesto. THAT is all I do but the options are endless: scallions, raisins, tomatoes, etc. Be as creative as the appetites you feed will allow! Dang! I love this stuff! In 1983, hubs and I were in Williamsburg VA doing the touristy thing in the old historical village. 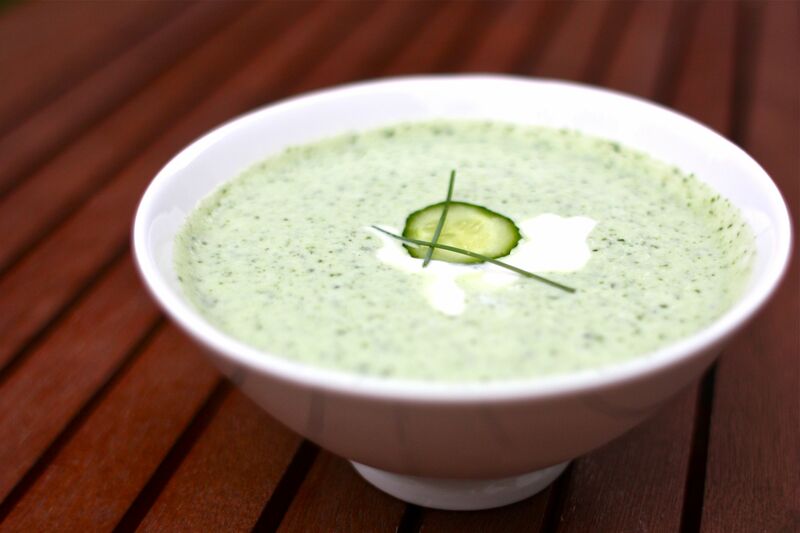 It was a very hot summer day and I ordered cold cucumber soup at one of the restaurants in the village. Oh my goodness, it was the best thing ever! And, ever since I’ve been looking for a recipe that would mimic the green, creamy, refreshing summer soup. Last summer I came as close as I’ve ever gotten to duplicating the 1983 tasty delight! Salt & Pepper to season. In a blender, combine the first four ingredients. 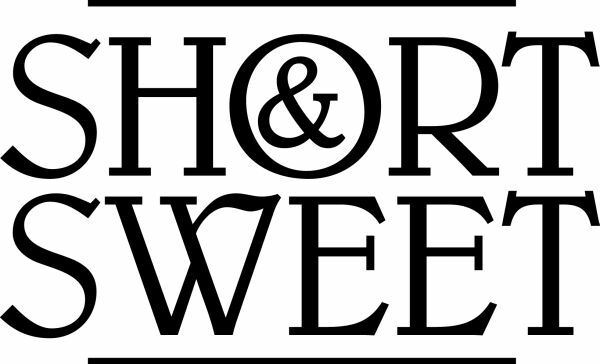 Season to taste with the S&P. Ladle into serving bowls. Garnish choices: thinly sliced radishes, small chunks of garden-fresh tomato, dill sprigs, dollops of sour cream, and/or drizzle of olive oil. I have not made these but saw them on Facebook the other day and thought they were not only pretty, but probably delicious! From The Comfort of Cooking. With a paring knife, cut off the strawberry stems. Cut around the inside of the strawberry, hollowing out slightly and creating a well for the cheesecake. (You can also do this with a small melon baller.) Cut off a small portion of the pointy strawberry tip, so that each strawberry can stand. Place each on a large baking sheet. In a medium bowl, with a standing or handheld electric mixer, beat cream cheese, sugar, and vanilla until fluffy, about 2 minutes on medium speed. Place mixture in a pastry bag and pipe into each strawberry, adding a little extra to the top. Refrigerate until thoroughly chilled. TIP: Don’t make more than 5 hours in advance, or your strawberries will sweat and may become a bit soggy. This post wasn’t exactly “short & sweet” but it was definitely fun putting together and it has made me hungry! Thanks for some great recipes. I like the taco salad because it’s easy and I’m all about easy. Never thought of mixing dressings. Will try that. I always have catalina and I always have Italian. Have a great day and a fun filled summer. Thanks for the good recipes! I may need them very soon for a new friend! Love the couscous. Made a similar one Sunday. I used almonds instead of pine nuts (too expensive). Very very filling however. I only need a very small amount! Walnuts would be good too! And, not so hard to chew. 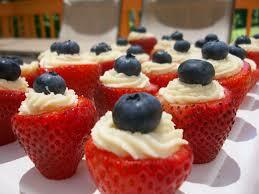 Fix those strawberries – how adorable are those for a small soiree? Or, beach picnic? Great recipes for the summer. I especially like the taco salad and may try the strawberries. Thanks for sharing. We had the Taco Salad last night and there wasn’t a speck left in the bowl! I like the idea of the taco salad layered in one bowl instead of having to put all the ingredients in separate bowls on the table, as I usually do. Can’t wait to try the strawberries. They are so cute. Thanks for passing the ideas along. Lynne, make Gene take a photo when you do the strawberries – I want to see them!!! Especially want to try your Taco salad and cucumber soup! Just left Mayo Clinic and are on our way to being your neighbor for a week. Thanks for the great recipes to try ! Looking forward to catching up my friend! Susan, all these recipes sound delicious! Can’t wait to try them! Hope you enjoy them as much as we do, Beth! Thanks for the tip, Denise! Looking forward to finding some big, organic strawberries to work with! YUM! A friend made those strawberries you give a recipe for recently and they were absolutely delicious! My son loved them so much he made them again a few days later. Thanks for the yummy looking receipes and for sharing with Three Word Wednesday. Blessings. Thank you Beth for your faithfulness and making TWW possible! I love New Recipes. I really like Taco Salads, and the Strawberries look wonderful. I must confess however, I have Never had Cucumber Soup. So when my cucumbers start coming off in the garden, I shall give it a try. I love making Taco Salad in the summer. It’s a healthy and quick meal to make. Michelle, we love it too! Thanks for stopping by!